Waiting in line took, in total, about 20 hours spaced out over 3 days, but, after 3 tries at The Santa Claw (a giant real-life claw game played over the internet), I finally won my prize! My glorious prize came in this magical envelope! Oh, the excitement I had in opening this envelope! And, what was in the wonderful envelope? Why, it was none other than this knobby ball! 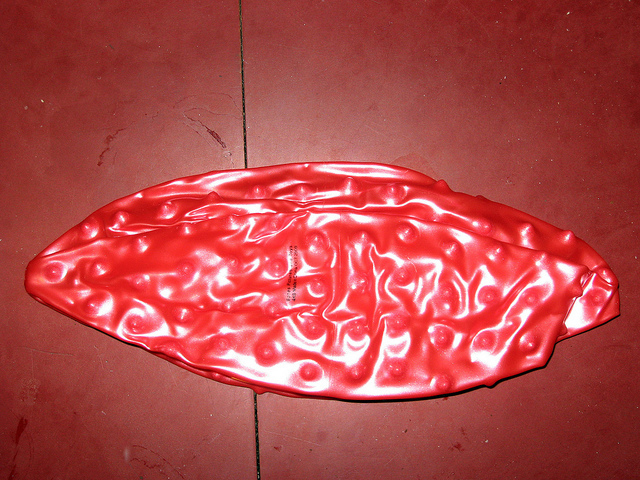 Which came deflated and I have no pump, thus, it will remain thusly. By the by, there was a sticker on the envelope that said “made in North Pole”, but the ball says “Made in China” and the guys that run The Santa Claw, the Real Art Design Group, are based in Dayton, Ohio, so.., I’m not sure. 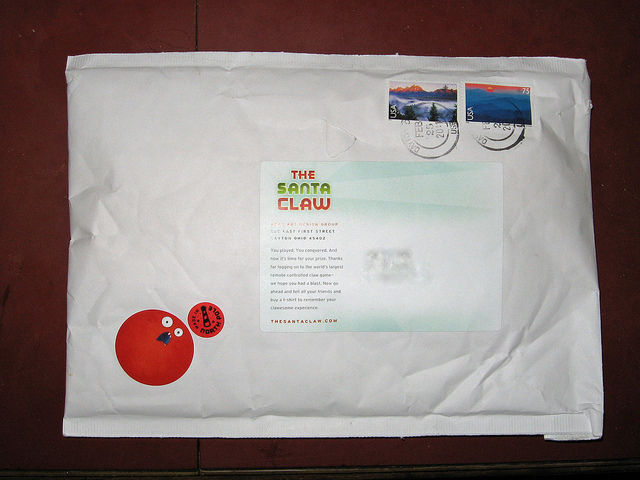 Is the sticker supposed to imply that the envelope was made in the North Pole? It is a mystery. LUCKY YOU! You stood in line, played The Santa Claw, and won this impressive knobby ball. Amazing that is just didn’t seem to make it on someone’s Christmas list this year, huh? Your pals: The Santa Claw. All in all, apart from the hours of waiting in line, playing with The Santa Claw was pretty fun. 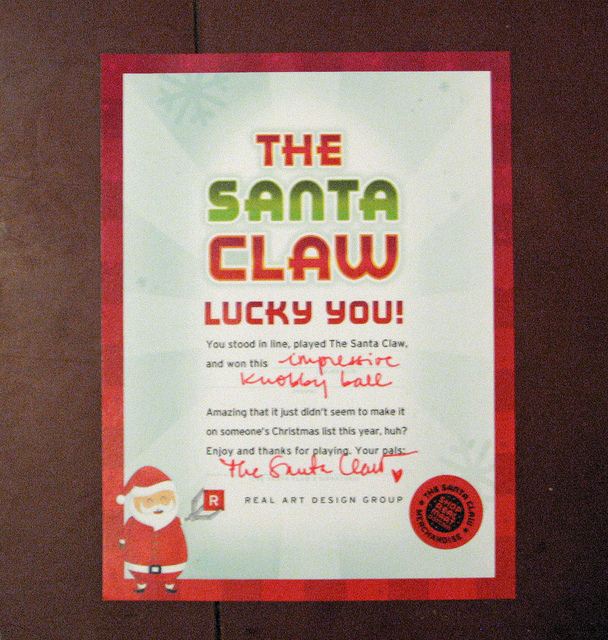 You can still play with The Santa Claw at thesantaclaw.com, but it looks like they are out of prizes. There’s no line anymore, though!